Welcome to the Best Western Edmonds Harbor Inn. Select this great Best Western hotel in Edmonds, just 25 minutes from Seattle and Everett, and enjoy a host of convenient amenities at a great value while traveling. The Best Western Edmond Harbor Inn is conveniently located within easy access to key area attractions and business locations. Our guests will appreciate the variety of nearby dining and shopping options. Each well-appointed room features free high-speed wireless Internet access, free long distance access, toiletries, iron and ironing board, coffee and tea maker, and hairdryer. King size beds and other upgraded amenities are available in select rooms. Our friendly staff is ready to ensure a comfortable and memorable stay. 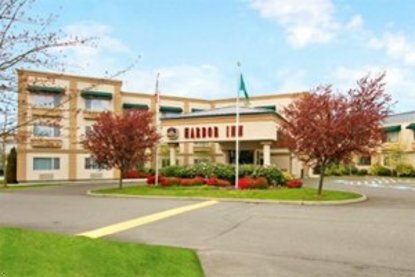 Make an online reservation today and save at this Edmonds hotel.